Put a couple of children in a pile of leaves and they automatically throw them in the air. That's exactly what happened at this Modern family photography session. 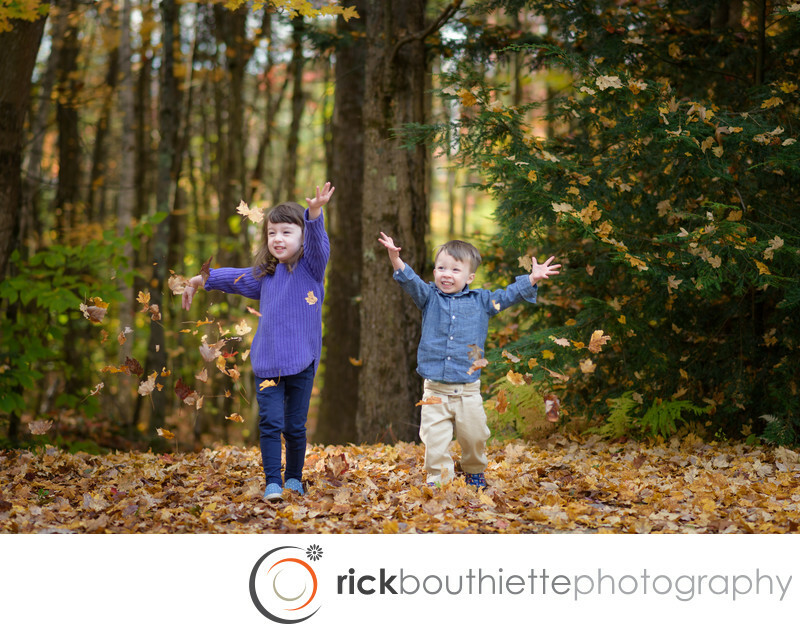 The joy in their faces and the fall color make this a perfect memory and a favorite for their parents.